Upon reception of your order we will investigate your equipment to detect early failures. If required we will send you a modification proposal FREE of CHARGE. This report will also notify you of possible future modifications in the applicable standards for your product. (1) means that our test procedure may start with some (small) modifications of your equipment to be carried out. This saves you both time (failing tests) and therefore extra testing fees. We will not wait to tell you until all tests are done, and then recharge you for full black-box re-testing. Consequently testing starts and at any stage when a problem arises we will send you a briefing and add proposals for modification. If you want us to, we can (temporarily) modify your equipment is such a way that these modifications can be implemented easily later in your final product. Sometimes however, if modifications are extensive, a new product needs to be shipped to us. Upon finalization of the tests, we will create an extensive test report compliant to ISO 17025 for you, containing test results, and the documentation you provided us. Documentation is of major importance to positively identify your product. Without complete and accurate documentation a test report has no value ! This is especially true for low voltage testing. When testing radio equipment, your applied radio frequencies will be verified with a notified body for compliance with the different European national frequency plans, and documented accordingly. If required we provide you with a notification service. 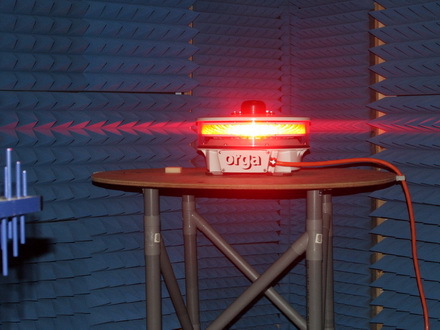 We perform full compliant EMI and EMC testing according to most European Harmonized Standards. Since in 1989 the European union launched the EMC directive (that became mandatory in 1996), EMC testing has evolved from simple Radiated Emission testing into a complete set of tests covering all ElectroMagnetic phenomena an electrical device may generate or be susceptible to. Since 1996 CENELEC CEN and ISO have been publishing European standards that consequently have been designated by the European Commission for inclusion in the list of "Harmonized Standards", governing the requirements to be met for electronics in residential and industrial environments. Since different types of equipment need to be more reliable than others product (group) specific standards have been written such as EN 55032 for IT and mulitmedia equipment. These EMC standards evolute on a continuous basis. Some standards change almost never, while other standards are completely re-written (as is the case with EN 55032) and supersede old standards (EN 55022) all together. 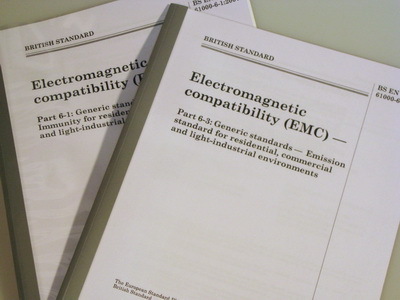 New standards take priority from their date of publishing over the older, even if equipment has been earlier approved to the older version. There is a continuous need to update the (EMC) performance of products to the latest harmonized standard. We can help you in maintaining your product compliance at the required level. ce-test, qualified testing bv has over 20 years experience in EMC testing to and beyond the standards. We have been known to solve touch problems in larger systems as well provide simple solutions for common problems. Our staff will make sure that you get what you need, at minimum costs. Whether you need the minimum legal requirements according to the standards, or full "due diligence" compliance, you make the decision. Get access to the EC market fast at minimum costs, or go fora "hardened" EMC compliant design that will prove itself within the upcoming years in the field: you decide. ESD contact discharge testing to EUT, HCP or VCP. Automotive immunity tests according to ISO 7636-2 for 12V and 24V board nets. Let us help you in selecting the appropriate product standard for your equipment, and carry out your products emc asssement and tests so as to comply with the essential requirements of the directive. EN 61000-3-3 - Voltage variations induced into the mains. 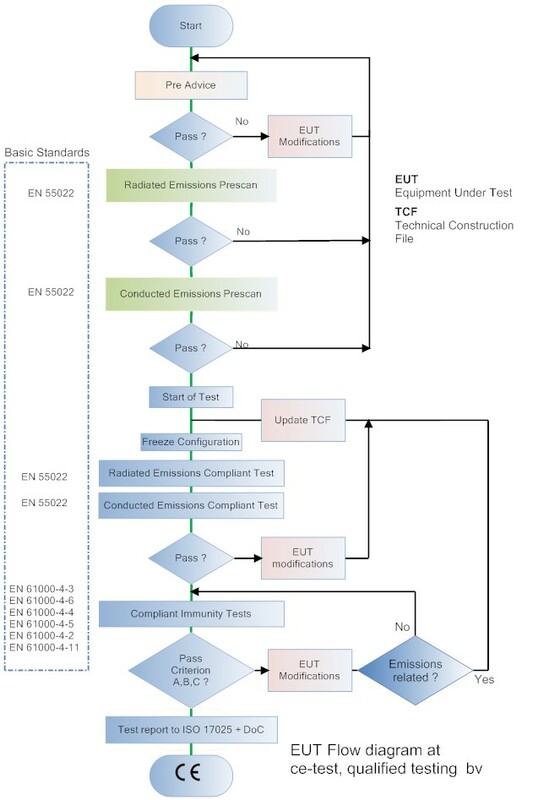 EN 55032 / CISPR 32 for emissions of ITE. Focus on reducing test time, test failures and test costs and so improve your time-to-market. ce-test owns a fully equipped test lab with compliant EMC equipment for all tests. Our EMC test equipment is available permanently, as well as a fully equipped work bench for our clients, including all kind of (SMD) components, filters, gaskets and regular small electronic components. Unlike many consultants that have to use the services of an external test laboratory, all our equipment is available full time. This saves you money and time. If required we can make minor modifications on your design to reach compatibility, that you can later implement in a final prototype. We may provide immunity solutions for 3 and 10, 30 V/m and more for house hold and industrial applications and can test your equipment up to 200 V/m in specific frequency ranges that are known to cause problems. The introduction of terrestrial TV broadcasting brought us interference field strengths of 1 V/m allover the residential areas and much higher field strengths close to antenna base stations. 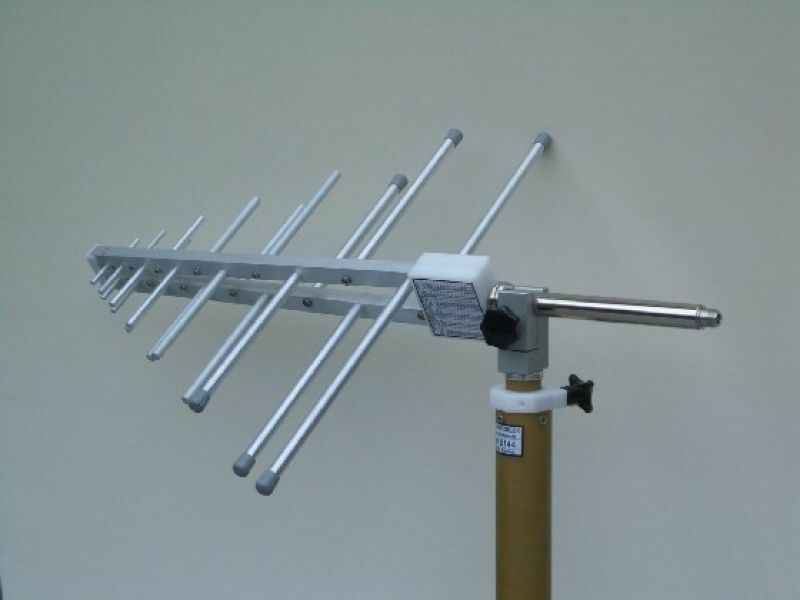 New portable transmitters are expected in Europe in the former UHF band, now allocated to mobile radio.